We all heard this news about this diseases name as the Swine Flu. At the time when it is speedy expanded in the US at time we are sit quietly but now they sit some what quite and now our turn to fight with this Swine Flu. This is the diseases which get done from the pig. Some times humans contract swine flu from close contact with pigs. The strain circulating now is cause for concern because it appears to pass directly from person to person. By this two line you will get that what is the swine flu. And now this is get expand in the India so you might be required the treatment and antiviral drugs for you people. So on this link you will get all full detailed view how swine flu get expanded. Treatment & antiviral drugs for that , symptoms and other detail about this disease. 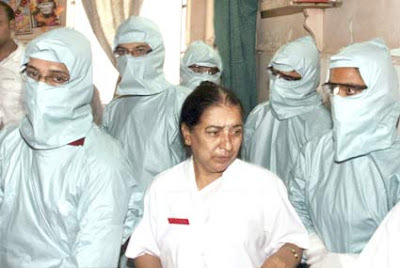 According to the news I come to know that in Gujarat's one of the top one city Ahmedabad this swine flu get started. According to that on this Wednesday one 11 year old girl having the symptoms of this disease. As there is the doubt that it's really swine flu or not so the blood sample of her is goes to Delhi but the results get negative. That's way all people get relaxed. But one lady come in Ahmedabad from America having the Symptoms of swine flu so she had been taken at nearest VS hospital. And the sample of blood also send at the Delhi. As in India there is the 33 case get registered for this Swine Flu and now in Gujarat also there is the two case get register so get ready for fight and take care.